Summary: Plot Summary: In the sequel, Mickey Rourke will play Whiplash, a character that includes elements from that comic book villain and Crimson Dynamo, another Russian baddie. Sam Rockwell will play Justin Hammer, a multibillionaire businessman and a rival of industrialist Tony Stark, AKA Iron Man, being played by a returning Robert Downey Jr. 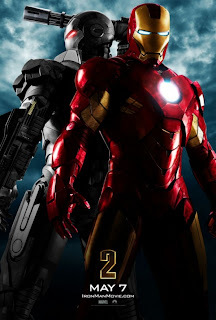 I'm excited for this one because I really enjoyed the first Iron man Plus I heart Robert Downey Jr! I can't wait for this one! I love RDJ, he is brilliant.